You may remember Dutch artist Margje Bijl from my previous blog posts about her project “Reflections on Jane Morris”. If you’re not familiar with her yet, let me introduce you to her. 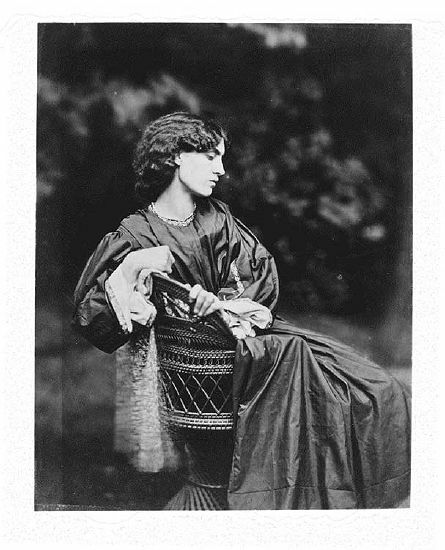 I believe she has an uncanny resemblance with Jane Morris, the Pre-Raphaelite muse who lived from 1839 till 1914. As I described in my previous blog post, Margje traveled to some of the houses in which Rossetti, Jane and William Morris lived and made staged photos on location. She said: “Referring to Jane Morris’ life story, I made her environment as my own with modern clothes and poses”. A few months ago, the curator of the William Morris Gallery, Carien Kremer, offered her a slot in the 2014 programme, showing these photographs in the Discovery Lounge: “It would be great to mark the commemorative year with a contemporary take on Jane”. I am thrilled to announce that earlier this week, the William Morris Gallery was crowned “Museum of the year 2013“! Margje is proud of the Gallery, which she visited before and after the huge refurbishment. She told me that she spent her most treasured moments in the archive where she was able to view and read Jane Morris’s letters. She felt she couldn’t get closer to understanding who Jane Morris was. To Margje, another memorable moment at the William Morris Gallery was meeting Jan Marsh and Frank C. Sharp, the editors of the book “The Collected Letters of Jane Morris”. 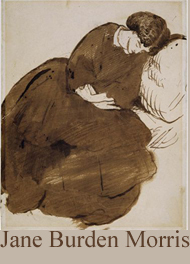 Margje wanted to find out what happened to the love letters between Dante Gabriel Rossetti and Jane Morris, from the first period of their affair, 1868-1875. 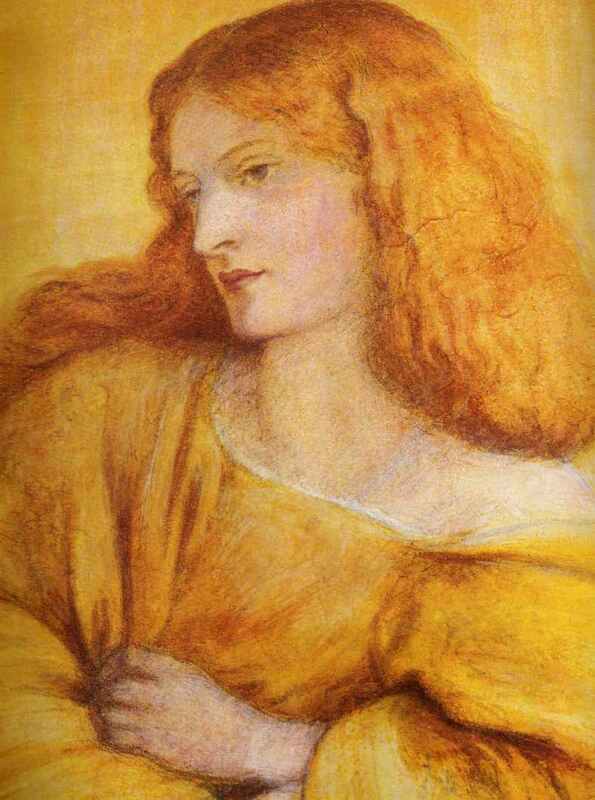 Jan Marsh explained that Fanny Cornforth, Rossetti’s mistress and housekeeper, wanted to sell them, in order to blackmail Rossetti. 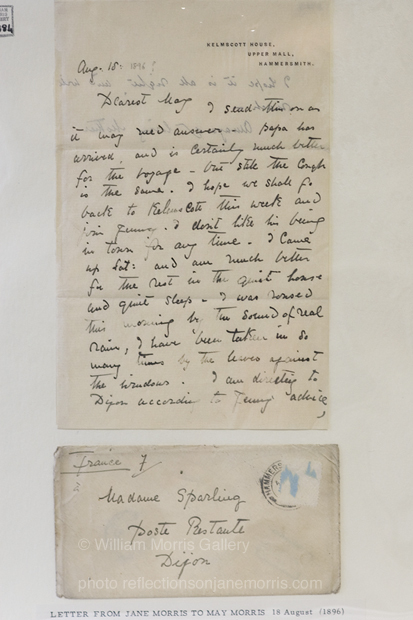 It was very dangerous for Jane to own the love letters which could be seen as evidence of her extramarital affair, which could have cost her both her marriage and her children. Jane became scared that the letters were going to be made public and made sure they disappeared. 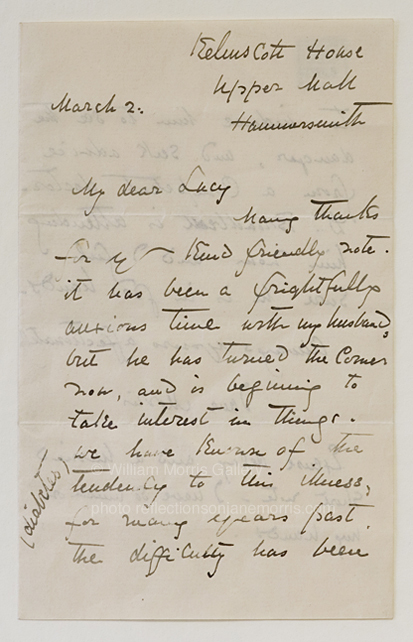 After the lecture, Margje asked Frank C. Sharp why there was not a single photograph of Jane’s handwriting in the book. He said that they had only capacity for a limited amount of images and that they chose the unfamiliar photographs of Jane’s friends instead. We are very grateful to Jack Challem for he unraveling Jane’s character a bit. Now we are very curious, are we able to find someone to give a thorough analysis?! In the meanwhile, please enjoy her handwriting. If you wish to visit the collection in the archive of the William Morris Gallery and combine it with the exhibition A Memory Palace of her own of Margje Bijl, plan it between 11th January and 9th of March 2014. You could also combine it with a visit to the National Portrait Gallery, where Jan Marsh is planning a case display of works in the Collection, about the life of Jane Morris and to celebrate the 100th anniversary of her death. Janey (Margje) visited me recently. We’d met before. There’s a connection in our work. Albeit my focus is on other women at the end of the Victorian age. It’s nice to see how she uses herself in connection to Jane Morris to make new art. I really like that as it resembles the way I live. There’s a chance I’ll be in England early next year for my new books and if so I will surely go to the exhibition.